Those Apple rumours just keep coming, and keeping up with them all is proving to be a difficult task. To keep you up to speed, here is today’s round-up of the biggest Apple rumours and news. 1. Is the iPhone 6 going on sale on 14th October? Previous rumours mentioned vague time periods that might see the release of the iPhone 6, but this is the first time we’ve seen an actual date. According to the source, who claims to have heard the information in an Apple retail store meeting, the iPhone 6 will be revealed at an event on the 16th September ahead of the October release. It currently isn’t clear which model of the iPhone the rumour refers to, or if previous rumours are correct and the 5.5-inch version will be released at a later date. If all the rumours are to be believed, Apple isn’t having a very goo time with the upcoming iWatch. Latest rumours provide even more speculation that Apple’s highly anticipated smartwatch will be delayed yet again, with mass production starting in mid-November rather than September. This information comes from Chinese analyst Ming-Chi Kuo, who has revised earlier predictions. Now he is predicting that Apple will only be able to ship three million iWatches before the end of the year, and that due to supply issues only half of them will have sapphire glass displays. 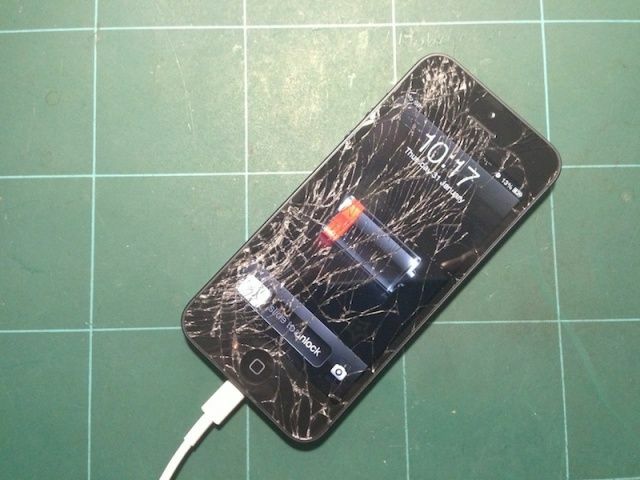 Having your phone’s screen break is one of the worst feelings in the world, especially when you have to go and find someone who can repair it for you. The problem is that getting a third party to do the work might end up voiding your warranty, but if the manufacturer doesn’t offer repairs you haven’t got much choice. Fortunately, if rumours are to be believed, you’ll soon be able to get your iPhone 5S’s screen fixed simply by taking it into the Apple Store.